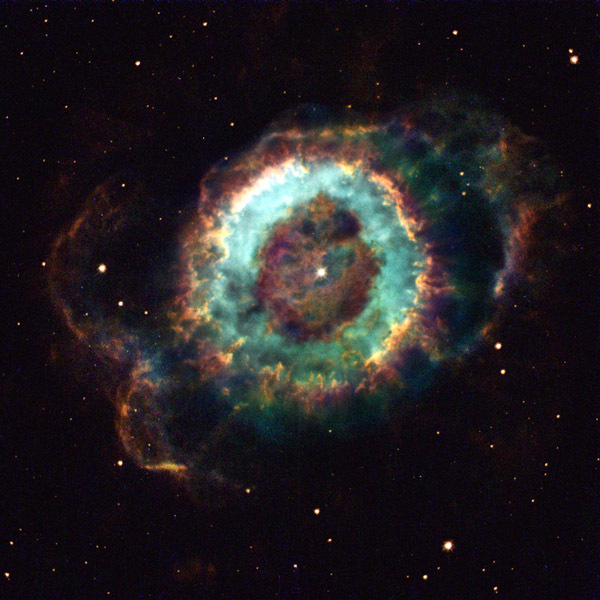 A dying star expels its outer layers, creating a planetary nebula . so called because it resembles a planet when seen with a small telescope. NGC 6369's blue-green ring marks the location where energetic ultraviolet light has stripped electrons from oxygen atoms in the gas.